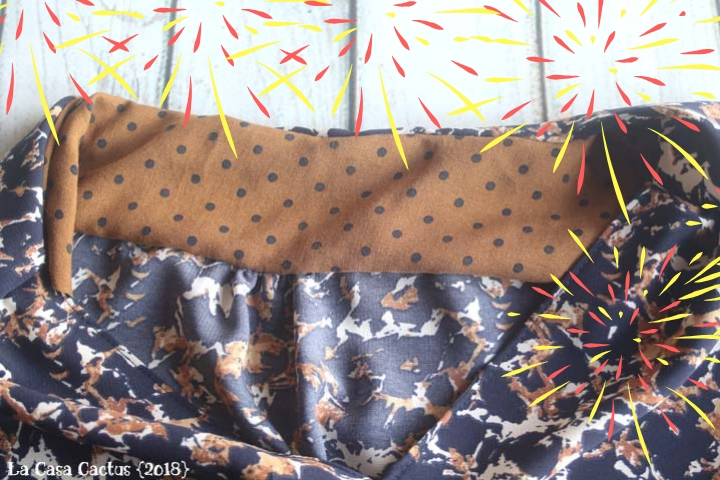 I just don’t like sewing by hand so I use the burrito method a lot. 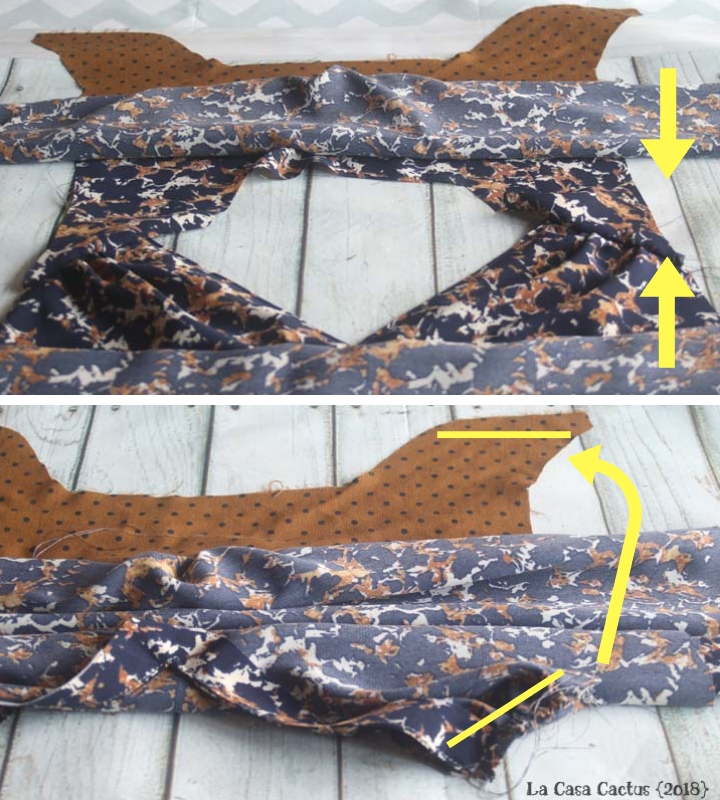 The last time I used it was when I tested the lovely Suun blouse for designer pm-patterns. Every time a top is lined or has a lined yoke, I use the burrito technique. 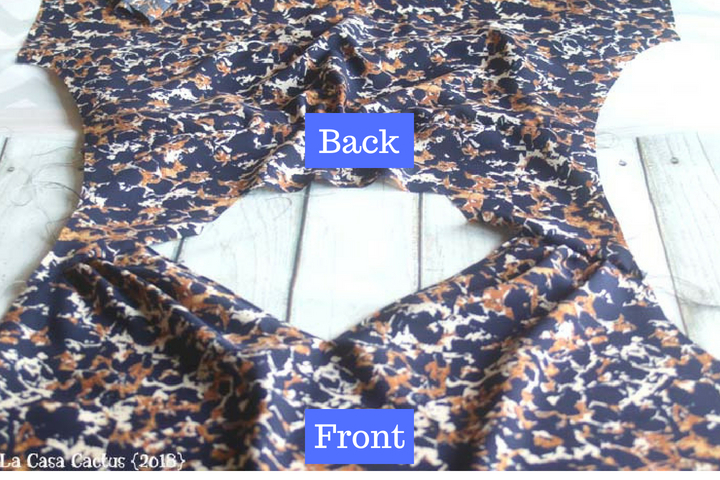 I’ll show how I sewed a new Suun blouse and used that technique. 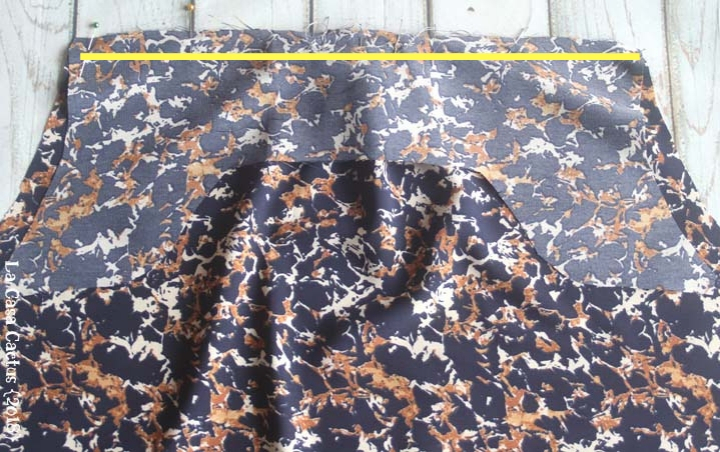 The main fabric is a marbled microfiber whereas the back yoke is dotted viscose. Much more easy to visualize! Both fabrics are from Les Coupons de Saint Pierre. You will proceed as instructed until you reach the yoke assembly. Baste the main yoke to the back, with RST. 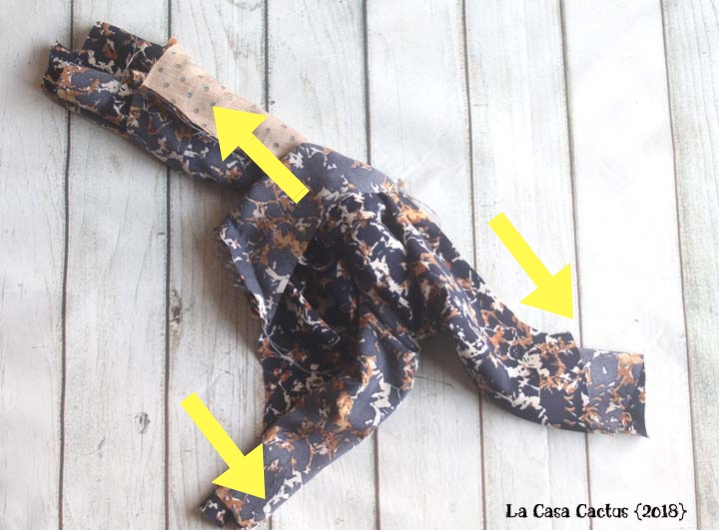 Then place your yoke lining with its right side against the wrong side of the back. 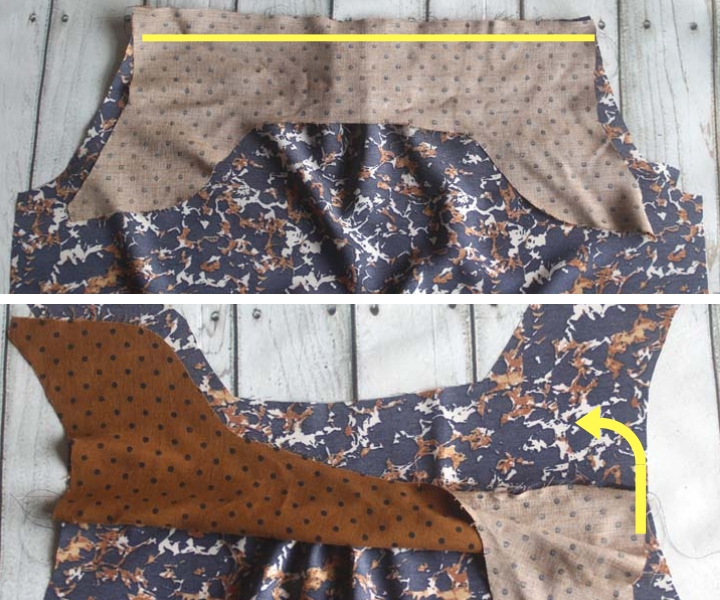 Sew the 3 pieces together. 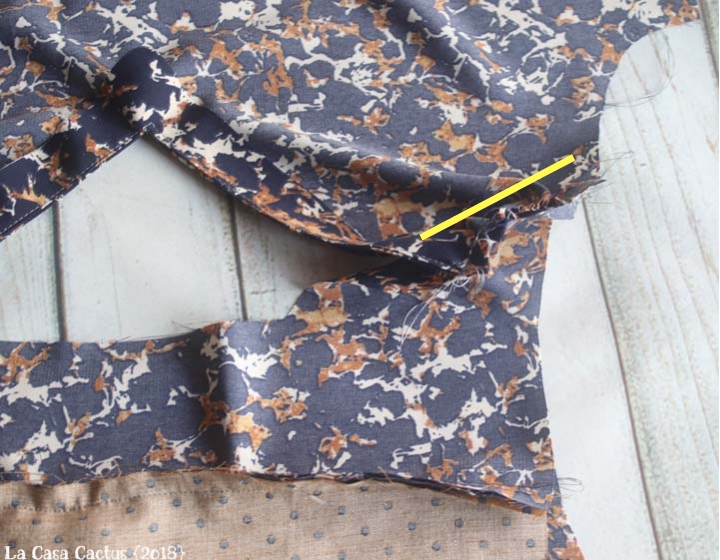 Note: You can sew the 3 pieces in one step, but my fabric was very slippery so I preferred basting the main. EZ-PZ, your seam is invisible. 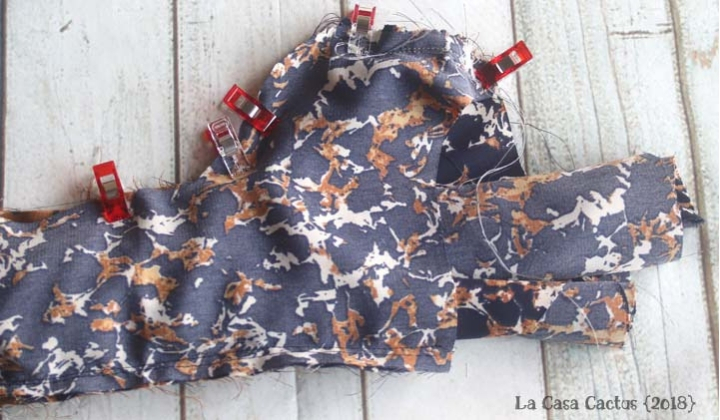 This step is rather weird when sewn the first time, but you’ll see it really makes sense afterwards!!! Baste the front shoulders to the MAIN back shoulders. DO NOT BASTE THE LINING. 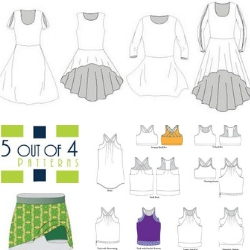 Now, place your garment as shown below (it will be easier for you). The front part will be rolled up, the back part will be rolled down, BUT DO NOT TOUCH THE YOKE LINING (once again!). Now is the time to unroll your burrito. You will obviously press your garment before proceeding to the other steps like sleeve sewing etc. I hope that this technique tutorial will help you in mastering the burrito method. This is a Suun blouse I sewed for these pictures, but this technique can be used on any garment where a yoke lining is involved!! !